Curry leaves chutney recipe is made in two ways in my home. 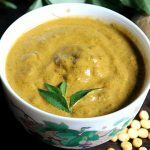 A chutney that is creamy thick and smooth goes well with idli, dosa, pongal and most other south Indian breakfasts.The other is the karivepaku pachadi which is made similar to the methi leaves chutney that goes best with rice. We also make the curry leaves podi rice that is a quick fix to dinner any time. Curry leaves are high in antioxidants, minerals and vitamins. Consuming them regularly can help to beat infections, anemia, diabetes, bad cholesterol and many other disorders in human body. Curry leaves chutney, I am sharing today is a diabetic friendly recipe, can be consumed regularly by folks trying to beat or prevent diabetes.To enjoy this chutney, one need not be diabetic,can be consumed by any one. 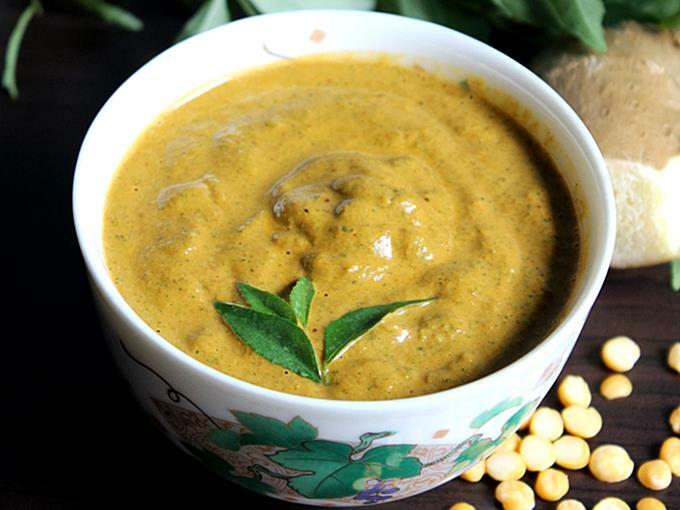 If you are in the habit of using roasted gram/ putnalu/ pottukadalai in chutney, replace it with chana dal, the taste of this dal is so good in any chutney and it does come with more health benefits than pottukadalai. Chana dal gives a good creamy mouth feel that doesn’t come with roasted gram. Curry leaves are proved to increase metabolism and control blood sugar levels when consumed regularly or often. Chana dal is one of the best lentils to use in any chutney recipe as they are low in glycemic index as well the glycemic load, which doesn’t give sugar spikes. 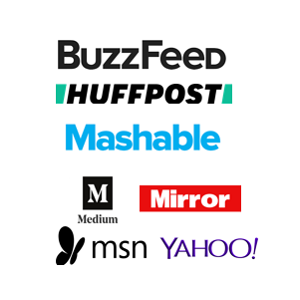 There are a lot of forums on the web, you could read them for the proven effects. For those who are doubtful about the nutrients being lost in stir fried curry leaves. You can dry the curry leaves in shade for few days until they turn crisp. Mash them up, to powder with moist free hands and store it in a glass jar. If desired can be refrigerated. Add to the chutney whenever needed. My mum dries the curry leaves in the veranda during the day for three days to dehydrate them completely, not during the monsoons since the leaves get molded. To make curry leaves chutney, i have used red chilies, ginger, chana dal. 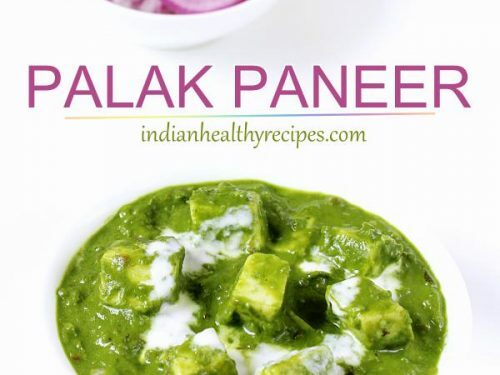 You can replace the ingredients with green chilies, garlic, peanuts, coconut or roasted gram to suit your taste. 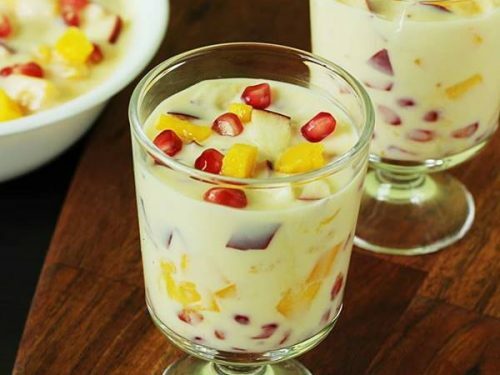 To make the recipe diabetic friendly, i made them using the mentioned ingredients. I did not season the chutney to make it low fat and as such it doesn’t need, since it is so flavorful, smooth and tasty on its own. I color of the chutney will be different if green chilies or coconut are used. 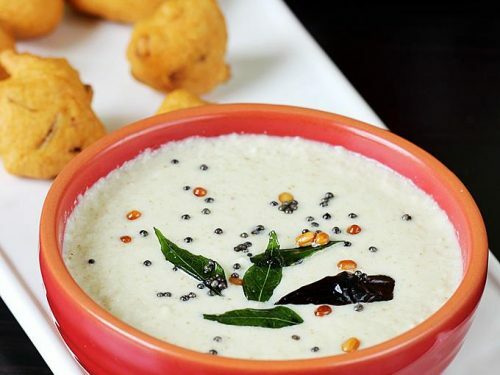 This chutney can be served with any variety of idli, dosa, upma,pongal. 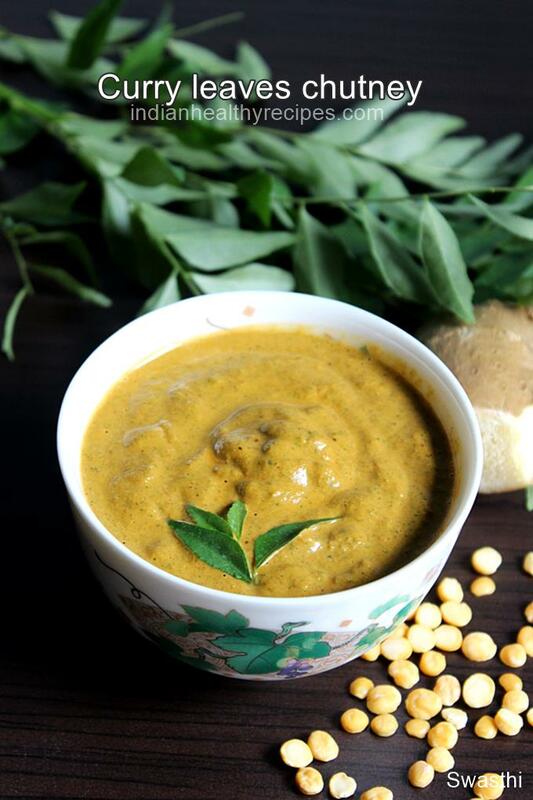 Curry leaves chutney made in andhra style using curry leaves and lentils. 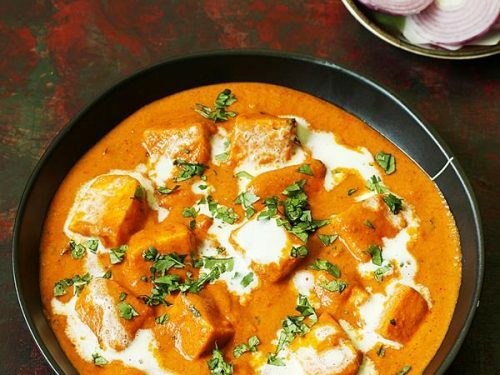 Serve it with Indian breakfast or snacks. Wash curry leaves in lot of water, drain them in a colander. Soak tamarind in little warm water. Skip if using lemon juice. Pour 1 tsp oil to a pan. Add the curry leaves and fry until crisp on a medium heat. Fry jeera in the same pan. Skip this step if you are using curry leaves powder.Set aside the leaves to cool in a plate. If using green chilies and coconut, skip this step. Pour 1 tsp oil to the same pan. Fry chilies and chana dal until golden. Blend together curry leaves, jeera, chilies, garlic, chana dal or coconut, tamarind or lemon juice and salt with enough water. I have tried many many Dishes,as I stay alone,am a foodie & Love Cooking,which is a Great art.Today I Searched your Blog,as 2 marrow am going to prepare,Dal Vada,using all three dals,i.e Moong,Urad & Chana in the proportions given by you . 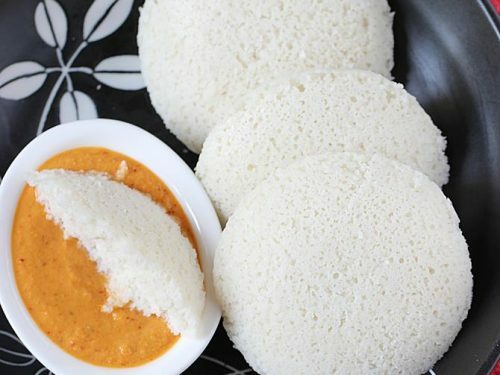 I have also tried Idli’s many a times,though they were always Hard & NOT soft Spongy,though I have never ever used Idli Rava,if I am required to use that,What is the proportion of the same,with Rice ( Ordinary Rice ),what might have went Wrong? Also till date,I am Unsuccessful in making Excellent,Fully risen,Soft & Spongy,Khaman Dhokla,can you identify my Mistakes & tell me,how to rectify these,please? Thank you so much for reading the blog. Idlis turn out good with idli rice and not with raw rice as it is too starchy. If making with raw rice you will need to use aged rice otherwise they may not turn out good. You can check the idli recipe here. I will share the recipe of khaman dhokla soon. Thanks for being here. Yes we are telugu speaking. Thanks for reading the blog. Hope you like the recipes. So yummy thanks for the recipe ? 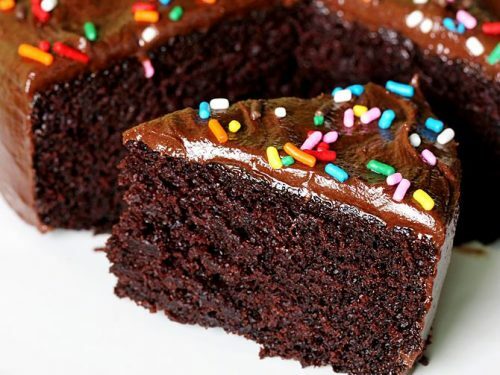 i am happy you like the recipes. Hi swasthi! Made this chutney and came out really well. Yes the channa dal gave a creamy texture and tasted well. Thanks a lot. Refridgerated and used for four days and tasted good also how to make the chutney pachadi style to eat with rice? Please suggest. Thanks Khushi, iam glad you liked it. Flavorful chutney,will surely try this.